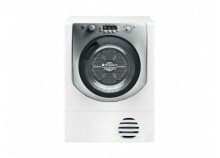 The online shop GetFurnished.com, offers you the possibility to rent dryers. 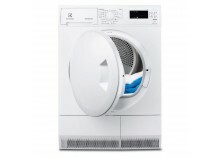 Our dryers are made by the best brands, such as Bosch, Electrolux, Haier, Hotpoint or Whirpool. Our products can be rented for a duration that goes from 1 to 36 months, and you have nothing to do except enjoying them. Thanks to our delivery service, you’ll benefit from your dryer in no time. Make some important savings, by choosing to rent one of our dryers. Once you don’t want it anymore it won’t stay encumbering your home, you can simply give it back to us. You can also modify the duration of your rental, if you ever want to. Why rent a dryer ? GetFurnished.com has the best rental offers. You can get from us, everything that is needed by your home, from furnitures to appliances and electronics. You’ll be able to find a dryer that will satisfy your every needs. If you’re staying at a home only for a limited period of time, it better and more simple for you to rent a dryer, than to buy one. You won’t be spending important amounts of money, for a product that you’re going to need only for a few few months, and who’s going to be complicated to get rid of. Renting is the perfect option. You’ll benefit from all the advantages of this product, without any of the inconveniences. And you don’t even have to worry about the breakdowns. 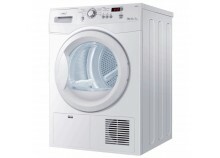 The Price : With GetFurnished.com, you’ll be able to rent the best brands of dryers, for small monthly payments. We have the best prices of the rental market. The Quality : With GetFurnished.com you’ll benefit from a quick and high-end delivery service. 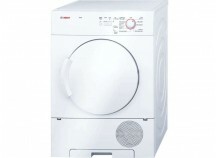 You’ll also be getting a noiseless dryer, that won’t consume too much energy, and we’ll reduce your electricity bills. This is the best guarantee for drying effectively your clothes. 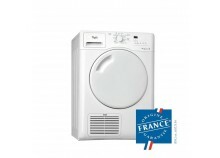 The Simplicity : Benefit whenever you want of your dryer and give it back to us, only when you don’t longer need it. All you have to do, is choose when and where you want to get it, and we’ll take care of the rest.